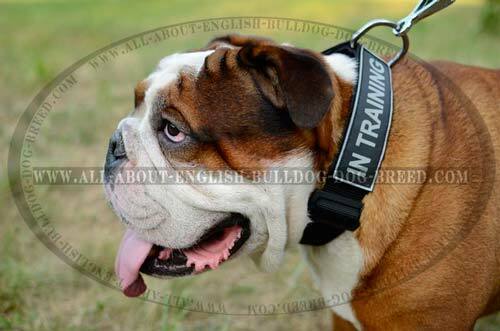 ​ English Bulldogs are dogs that will become great companions, guardians and friends. But you should always remember that a dog is an animal that can behave unpredictable while walking in crowded or noisy places, he can become frightened of something or behave according his instincts. That's why you, as a dog owner, are responsible for your pet's behaviour. 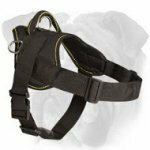 To avoid problems that can take place while you are walking with your dog outside, you will need proper equipment. 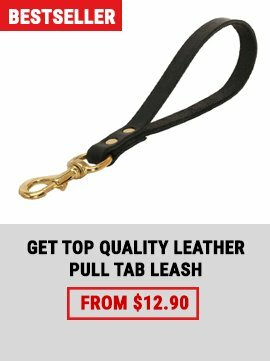 That's why our online shop wants to help you to control your English Bulldog better by offering you a wide assortments of various dog collars. They will help you to train your pet effectively, to walk with him without any troubles and to allow him feel safe and comfortable. 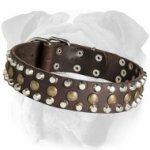 Choose one of these amazing Leather English Bulldog Collars, select one of the Nylon English Bulldog Collars, find the collar you need amongst Stylish Spiked English Bulldog Collars and you won't be disappointed! If you are in line with the latest trends of fashion you know the a top of fashion are spikes. 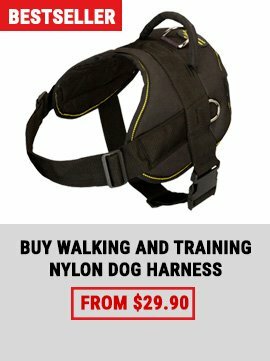 So let your beloved pet be as fashionable as you are. 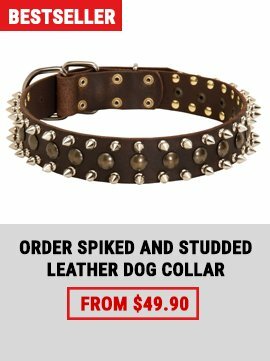 And Handcrafted Elite Spiked Leather Harness for English Bulldog will help you with it. An English Bulldog is usually not a problem for his owners. But sometime it happens that you have got a puppy that is not trained, or your good old Bulldog has got a stomach disease. 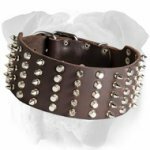 This Amazing Leather English Bulldog Muzzle is a solution!